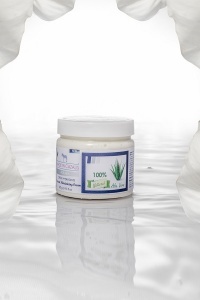 Minimum quantity for "Natural moisturizing Cream Aloe Vera for men" is 1. This After-Shave Conditioner, gives freshness to the skin by protecting against irritation of razor burn. Corrects imperfections and removes black spots due to the cumulative effects of aloe vera, honey and olive oil. Effect on the skin: Soothes irritation associated with razor burn, maintains face and hydrates skin. Use: After shaving on the face and all over your body.